For many years Mike Delinquent has been pleasing House and Garage heads with his feel good music and one of kind collaborations over the years. Already caused a buzz with his most recent track ‘Wiggle (Moving Her Middle)’ featuring Wiley, Mike Delinquent keeps up the momentum with his new release ‘Rollers #1’ EP - his first instrumental project for four years. Mike Delinquent is about to takeover the dance floor and your speakers with this new project of his. The extended play features three instrumentals for his fan base and beyond; if you're into House, ‘Anything’, and ‘I Am 808’ will have you two stepping wherever you may be. Not leaving his Grime/Garage lovers out in the cold - he also adds ‘Van Damme Riddim’, a riddim sure to get your head bopping from the second the beat drops and not long before MCs jump on this lively instrumental. ‘Rollers #1’ is an instrumental EP of high quality, and is the run-up to the release of his single ‘Tension’ featuring the beautiful Terri Walker. Still can't get enough of ‘Rollers #1’? Catch Mike Delinquent via his Saturday night spot on KISS Fresh! If his extended play is this mind blowing, imagine what the LP will be like!! 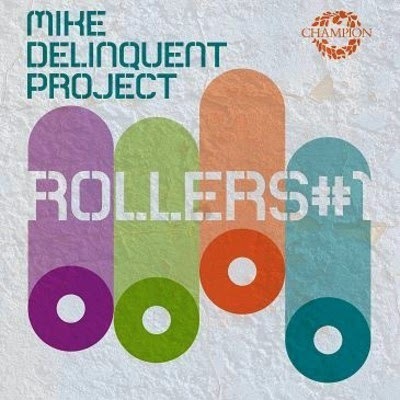 Stream, listen and enjoy Mike Delinquent's amazing new project below!